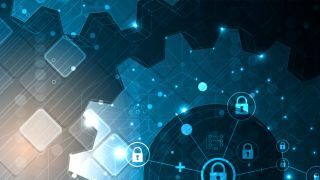 TechRadar Pro was invited to NTT Security's Security Operations Centre (SOC) in Gothenburg to get a first look at the company's 2019 Global Threat Intelligence Report (GTIR). The 120-year-old company, which gets visibility over 40 percent of the world's entire internet traffic to examine trillions of data logs worldwide ever year, sifting through billions of attacks, comprised its report to see which sectors are most at risk of attack. The 2019 GTIR found that 73 percent of all hostile activity falls into 4 categories - reconnaissance, web attacks, service-specific attacks and brute-force attacks. "This doesn't really surprise us," says Rob Kraus, NTT Security's senior director, Global Threat Intelligence Centre, Operations, "we try to make sure we take all of these activities and notify them when it's really a problem." The US was found to be the main source of attacks, accounting for 22 percent of the global share, followed by China (13 percent) and Japan (six percent) - with just ten countries making up two-thirds (66 percent) of all recorded attacks.